NEXUS Engineering Training Centre01493 742336work Business ServicesNEXUS Engineering Training Centre are based in Great Yarmouth. Their mission is to raise the profile and understanding of the variety of opportunities in the engineering industry for young people as well as up-skilling the current workforce across the sector. It works with more than 400 energy and manufacturing companies and is fitted with high specification equipment. 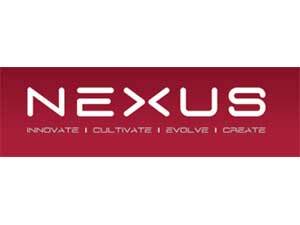 NEXUS Engineering Training Centre are based in Great Yarmouth. Their mission is to raise the profile and understanding of the variety of opportunities in the engineering industry for young people as well as up-skilling the current workforce across the sector. It works with more than 400 energy and manufacturing companies and is fitted with high specification equipment. Beacon Park is accessed directly from the A47 to the south of Great Yarmouth. From here exit onto Beaufort Way and take the second exit at the next roundabout, continue on Beaufort Way, turn left onto Excalibur Road, Nexus Engineering Training Centre will be on the right hand side.